Exactly one year ago, I stood frozen cold inside the warm amphitheater of the Boston Museum of Science. Next to me were my four colleagues from McGill University, Shobhita Soor, Gabriel Mott, Jesse Pearlstein and Zev Thompson. The judges left the room to deliberate. A choir sang an interlude to relieve the palpable tension in the room, to no avail. Our hearts pounded synchronously while we waited for the suspenseful announcement. 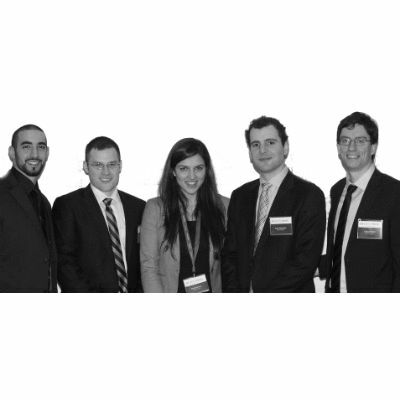 It was a long road to the Boston regional finals of the 2013 Hult Prize competition. Now, one year later, I am back at the Boston Museum of Science. I am, once again, waiting for the suspenseful announcement to be made. The winner this year will have made the most compelling business proposal to address the crisis of non-communicable diseases in urban slums. This time, I am no longer nervous. There is no choir singing an interlude. I _am _the interlude. In a deeply poetic and humbling turn of events, I am here to talk about my team's experience winning the Boston Regional Finals of the Hult Prize last year, and our journey to ultimately win the 2013 Hult Prize in New York just four months ago. I wish I could be joined by my team, but they are spread across the globe. Gabe is in Mexico setting up our operational facilities. Jesse is in Canada building our fiscal strategy for the year. Shobhita and Zev are in Barcelona and will be heading due east to launch our second functional pilot in Ghana. We are no longer an MBA team from McGill University. We are now Aspire Food Group, a multinational social business start-up with one ambitious agenda: to eradicate food insecurity in urban slums. The Hult Prize has completely flipped our understanding of serving communities in resource-limited settings. The idea that food insecure urban slum residents are best served by for-profit businesses would have been unthinkable not too long ago (it still is, in some circles). To some, charities and NGOs are the default, no-brainer, go-to institutions to address social challenges. Yet, most charities and NGOs are by definition not financially self-sustained. This yearly cash-flow challenge not only limits the scope and breadth of their impact (less money = less projects), but it often results in less competitive salaries for already overworked personnel. It is therefore not surprising that the overwhelming majority of the most talented young graduates in the country aren't exactly firing off their CVs to their local non-profit. (On the flipside, many young employees who go on to work in corporate settings feel somewhat unfulfilled). This is where social enterprise becomes really powerful. To be clear, I am not suggesting that NGOs and charities are of little importance. Nor am I suggesting that social enterprise is the magic bullet to all world problems. Rather, I strongly believe that both complement each other. As an example, consider the global food insecurity challenge that my team and I are tackling. We know that there are a billion people do not know where their next meal will come from. They do not have access to safe and nutritious food. However, we also know that these billion people fall along a spectrum of poverty. Some of them make under $1 per day. Some of them make $5 per day. Yet others are somewhere in between. This is where charities and social enterprises complement each other nicely. Charities have limited resources and many mouths to feed. Naturally, they will prioritize distributing aid to those who need it most. In this case, people who make less than $1 per day. Those who have a daily income between $2-$5 can afford to purchase some food, but their low purchasing power gives them very few options besides meals that are high in carbs and fats and low in protein. A social enterprise like ours can solve this problem by producing a source of food that is both affordable and rich in essential nutrients. Working in parallel to target different ends of the same spectrum, social enterprises and NGOs are now in a better position to effect global change than either of them could alone. One year ago, our company was just a set of ideas packed into a PowerPoint presentation. I am amazed at how engines of social change like Hult Prize have the power to transform lives. This year, another wave of social entrepreneurs has been born. They are passionate, creative, and adaptive. They will meet problems with solutions and see challenges as opportunities. They will unleash their full potential into combating a major world crisis. And they will come back the following year to inspire another wave of social entrepreneurs. This is the Hult Prize virtuous cycle, and I am honored to be part of it. Mohammed Ashour is the CEO of Aspire Food Group. He and his team won the Hult Prize in 2013.